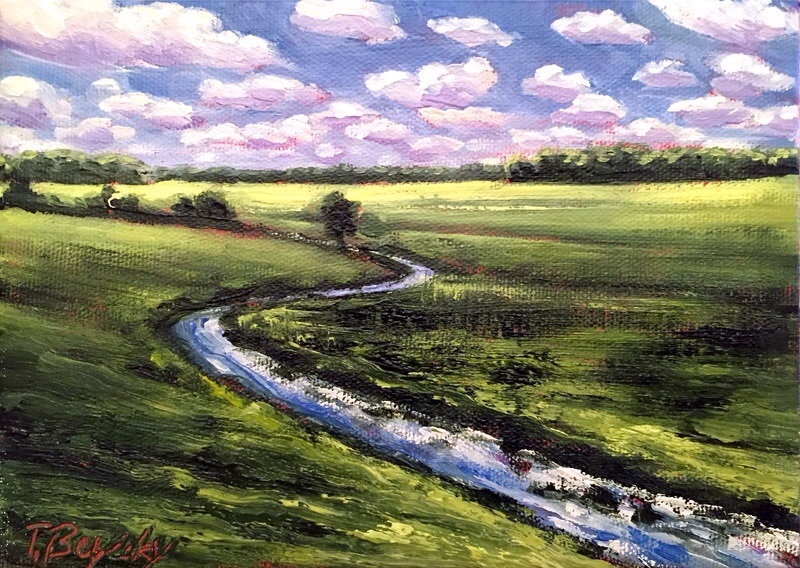 This entry was posted in Painting and tagged art, creek, daily painting, landscape, Painting, plains. Bookmark the permalink. It’s been a long time since I’ve lived on the prairie, but I remember the creeks … what a source of life they are. I love how you’re painting them. Thanks, since I came back to live here, I have taken more interest in the ever changing landscape of the sky. Usually I make the sky the top 2/3. I love clouds, but not as apparent in this one. The more I think about it, the more I think your ratio on the canvas of sky to earth is just right: it does feel like two-thirds of what happens on the prairie is happening in the sky. And maybe that’s why those creeks seem so real to me — because the sky dominates them, just the way I remember. Yes, I think this is better with 1/3 sky, on others I more have 2/3 sky. Clouds are the best part for me!